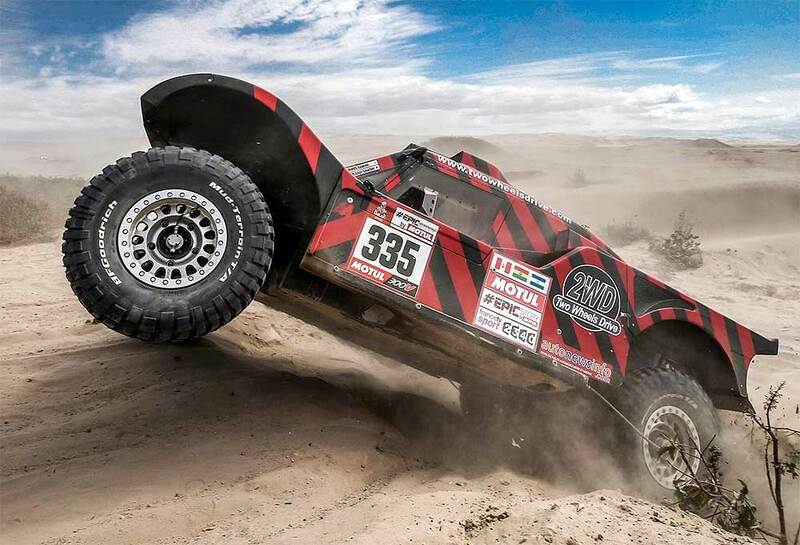 The Dakar has moved up a gear or rather to the higher altitude and is leaving Peru for Bolivia, at over 4000 m. A last Special has been raced on the Altiplano, at an altitude that seriously diminishes the power of the SMG Buggy 2WD of Italian Eugenio Amos and French Sébastien Delaunay. After a great show in the last days, the private Buggy crew is now 9th overall with a delay of 02:30:58 hours to the overall leader Stéphane Peterhansel. "At the finish of SS06, we took back 15 mins to Al Qasimi," explains Sébastien Delaunay. "The first part of the stage was a bit technical and already very high because to get to the start, we crossed an area with snow! We did quite well. But the second Special, in Bolivia, was made up of large straight lines, lots of mud puddles, without navigation... and the altitude really penalized us." "Eugenio couldn’t find the right rhythm and we also had an alternator problem that I managed to handle. We could have changed it at the finish but there were 400 people around the Buggy 2WD to take pictures, so we continued like that. Unfortunately, we ended up without a battery at the foot of the podium and Orlando Terranova pulled us out but he didn’t want to get on the podium… Too bad it was a nice party."